Oconee County’s Industrial Development Authority is the most prominent and active of the county’s development authorities, and it does post the minutes of meetings, but not the agendas, contact information or core documents on the county’s web site. The county also is a member of two joint development authorities, one with Barrow, Clarke, and Gwinnett counties and another with Barrow, Clarke, Elbert, Jackson, Madison, and Oglethorpe counties. Both have web sites that contain almost no information about the authorities. Quick told a meeting of Oconee County Republicans on Oct. 16 of her plan to have drafted and to introduce in January legislation regarding the operation of development authorities. Quick represents three Oconee County precincts–Athens Academy, Malcom Bridge and Bogart–in the state House as well as parts of Barrow, Clarke and Jackson counties. The Oconee GOP meeting, held at the Watkinsville Community Center, also included Rep. Chuck Williams, who represents the remaining 10 precincts in Oconee County in the House, and Sen. Bill Cowsert, who represents all of the county in the Senate. Quick mentioned her plans in response to a question about the upcoming session of the General Assembly. I was not at that meeting but learned about Quick’s comments from someone who was. I talked to Quick by telephone on Oct. 19 about her proposed legislation. She said her goal is to have information available to the public about the authorities so citizens don’t have to file open records requests to learn about what the groups are doing. Quick said she wants her legislation to cover all authorities or entities that deal with economic incentives or tax abatements. Such incentives or abatements affect the tax base in a city or county, and that affects the taxes people pay, Quick said. She wants her legislation to force the groups to accept citizen input as well as provide information to the public. These groups “need to hear” from the citizens, she said. Quick is a member of the Athens Downtown Development Authority, and she said she knows first-hand of the issues of transparency. 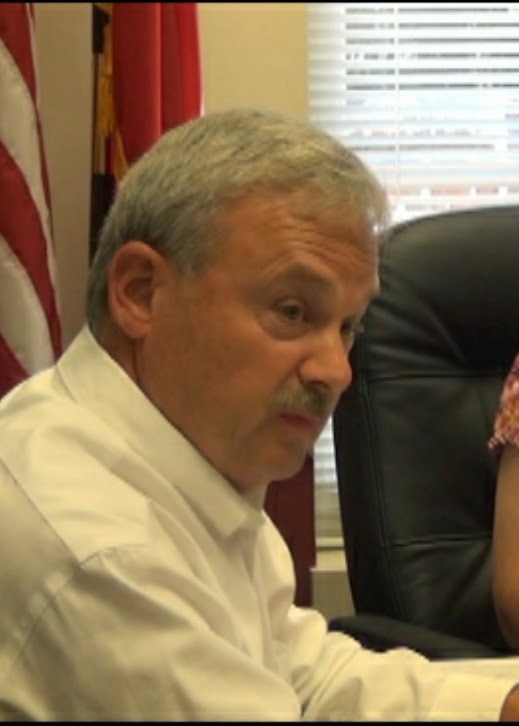 Rick Waller, chair of the Oconee County’s Industrial Development Authority, denied my request at the end of the Authority’s meeting on Oct. 13 for a copy of a document he had circulated to that group at that meeting. I had to file an open records request to get that copy. Quick told me when I talked to her on the 19th that she was unaware of the incident, but she said this was the kind of issue her legislation will be designed to address. She said she has had success with the Athens Downtown Development Authority in making information available to the public. Oconee County’s Industrial Development Authority has played a very prominent role in recent years, purchasing the land for the Caterpillar Plant, selling land to a biopharmaceutical company from the business park it operations, and conducting a study of zoning in the county. It has provided a tax abatement to Caterpillar as part of the incentive to bring the plant to the area. The IDA often goes into executive session, as is allowed by law under restricted circumstances. In May of this year, County Attorney Daniel Haygood sent that group–and other citizens bodies in the county–a memorandum stating their obligations to meet the state’s open meetings and open records laws. In that memorandum, Haygood wrote, “I would prefer that legal counsel be present ay any executive session due to the potential for making mistakes and the personal liability which might result from such a mistake. “Additionally, an improper executive session creates mistrust and cynicism about how our government operates,” Haygood continued. The IDA went into executive session at its meeting on Oct. 13 without Haygood present. Oconee County's Industrial Development Authority actually is two bodies. The first component is an industrial development authority that was set up as part of the state constitution. In 1983, when the state constitution was revised, the county's industrial development authority was removed from the document, but the county was allowed to recreate the Authority via an act of the legislature. The county also created a second development authority when the General Assembly later passed a development authority act. The two groups meet as one, and five of the 11 members are "constitutional" members, meaning members of the original group, and the remaining are associate members, meaning members of the second body. Chairman Rick Waller, Rep. Chuck Williams, Board of Commissioners Chairman Melvin Davis, Oconee Chamber of Commerce President Kay Keller, and Watkinsville Mayor Charles Ivie are the "constitutional members. The development authority act also allows for creation of joint development authorities. The county has been a member for many years of what was a Joint Bioscience Development Authority, focused on development along SR 316. Historically, it has been relatively inactive. The joint authority has changed its name to the Innovation Corridor Joint Development Authority. Oconee County has only recently joined the Joint Development Authority of Northeast Georgia. According to the group’s website, “Its members participate in regional efforts and partnerships intended to attract new industry and provide increased employment opportunities for its residents." Thank you Regina Quick! Melvin Davis, Rick Waller and Jamie Boswell relish the lack of transparencey with the Oconee IDA. It's time for the behind closed doors nonsense to stop! It's 2014; it couldn't be any easier to post documents online for the public. Heck, meetings could and should be recorded via podcast and maybe even videotaped! Melcin, Rick and Jamie: If you have nothing to hide, you should embrace Regina Quick's legislation. Just wait till everyone realizes the covert and secret contracts that keep secretly being negotiated again and again since last July with Andrew Clyde are to construct a shooting range compound next to highway 316 and a subdivision...and these people are researching pre-zoning for the Board of Commissioners?!? Either the IDA and/or both the BOC have lost their minds. I agree with anonymous. Thank you Regina Quick. Don't forget who else sits at the IDA table-Rep. Williams. He was never compelled to join Rep. Quick in writting bill or request his board implement open practices. The new person to IDA board sits on another board that prevent parents from asking questions at meetings and receiving answers during meeting. Trust and Service are long forgotten . This is what we elect.